Editor’s note: This is the first in a three-part series on specializing in the real estate industry. One of the first questions I ask newly licensed real estate agents or low to medium producers looking to increase their business is, “What is your niche?” After that, the agent inevitably starts the conversation about whether a generalist or specialist approach is best. 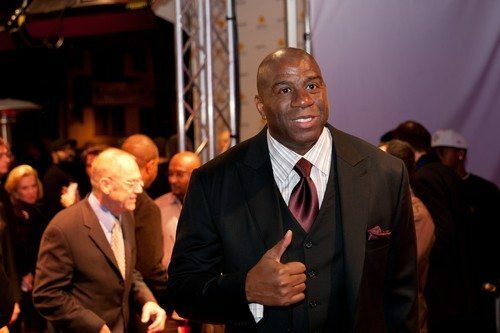 Earvin “Magic” Johnson is arguably the greatest point guard in the history of the NBA. But after watching his teammates retire without any strategies for making money long term, he spent the second half of his career studying business journals and routinely meeting with corporate executives during road trips. Speaking at Re/Max’s R4 event last month, Magic didn’t focus on his rivalry with Larry Bird or the “Showtime” Lakers years of his life. Instead, he talked of Magic Johnson Enterprises, which includes business interests in movie theaters, contract food services and until recently, Starbucks franchises. He is also part of the ownership group of the Los Angeles Dodgers and the WNBA’s Los Angeles Sparks. Magic Johnson began as a specialist but made the transition to a generalist. So which is the way to go? 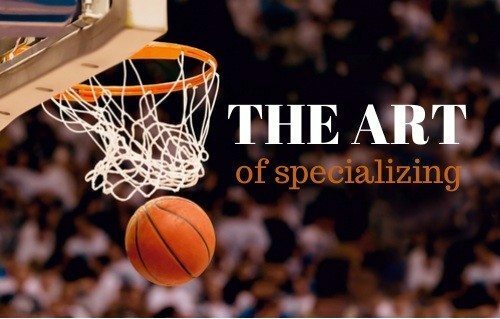 There are few industries where specialists do not earn more money on average than generalists, perhaps exemplified most clearly by the medical and IT fields. Some real estate agents will stop their analysis at that, but the majority of agents operate as generalists. It’s unsurprising — people in general tend to overdiversify their knowledge, as it’s never been easier to learn about any topic that interests you, and agents are people, despite what you might read elsewhere. First, begin with an honest assessment of your abilities, career to date and why you feel that clients should/would select you to be their agent. If you’ve been in business awhile, you should also evaluate the sources of your business, sales history and current reputation in the industry. Sometimes your career chooses your specialty before you get a chance to decide for yourself. Research your market and see if another agent has already taken your niche. It doesn’t necessarily mean you need to go back to the drawing board, but analyze if you can market to that niche more effectively and in a way that you won’t be confused for one another. As much as George Costanza wanted to be called “T-Bone” in a classic “Seinfeld” episode, another employee beat him to it and his co-workers decided on “Koko” instead. It’s a good thing he hadn’t already printed up business cards or created a website with “T-Bone” branding. Do you know WHY you want to be the expert? A popular talking point says that it takes 10,000 hours performing a task to become an expert at that task. By that logic, literally anyone can become an expert at something. But what if you spent those 10,000 hours performing the task incorrectly? I bring this up as the real estate landscape is filled with agents promoting themselves as “the (fill in the blank) expert.” As a result, client expectations will be that you are, in fact, what you say you are. However, it is not enough to know, step by step, how to do something. Expertise involves knowing and understanding what each step means. People by nature tend to focus on the “how” too much and the “why” too little. But knowing and communicating the “why” to your client is often the difference between providing good service and great service in real estate. Last, it’s not just buyers and sellers who will come to know your niche. Being a specialist also makes you a more attractive referral partner, and you owe it to the referring agent putting his reputation on the line to make sure he doesn’t regret it. Real estate professionals should ideally exhibit both breadth and depth of knowledge. Don’t overspecialize yourself out of a career — be somewhat flexible in an effort to avoid the risk of obsolescence. Most agents tend to be a bit of a hybrid, possessing functional knowledge in a wide variety of topics related to the real estate industry, but with a specialist’s level of knowledge on a smaller subset of those topics. It is important for agents to not become complacent, but to continually learn and make small adjustments along the way. It’s tempting to go “off-brand” when fear shows up, to open things in hopes of widening the lead potential. Instead, concentrate on activities that can help generate leads without compromising the plan you already have in place. Don’t undo the work you’ve already done. An alternative like blogging more consistently not only gives people a reason to keep coming back to your site and a nice SEO boost, but it also gives your expertise a spotlight, which is sometimes shared with others by your readers via social networks. Remember that with most agents working as generalists, being a specialist can make it much easier for your message to be heard through the noise.